Imaging you were a cuckoo and your job was to announce the full hour day by day all year long. Wouldn’t you get tired of this and try the get the hell out of there? Especially when the door is open!? 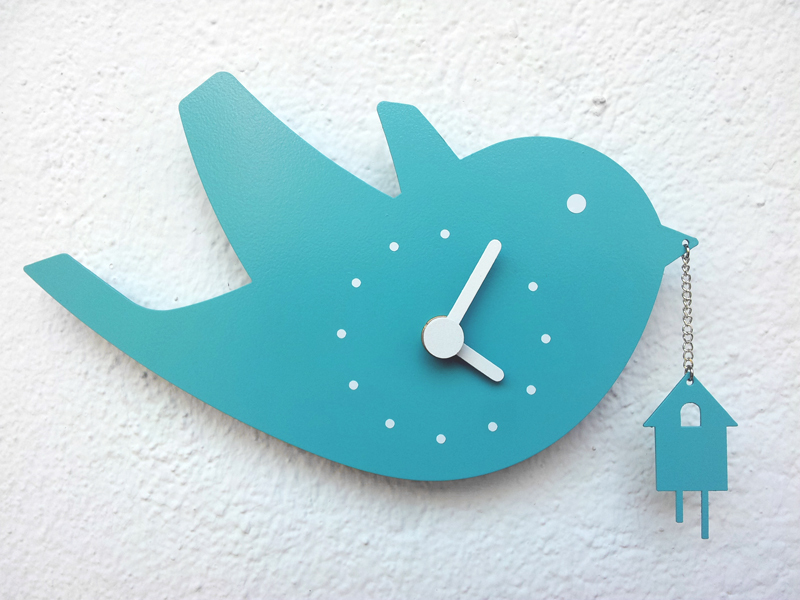 The flying cuckoo carrying a birdhouse is an homage to traditional cuckoo wall clocks.